How can a city build out its startup scene? An easy answer would be to pick a few of the winners, support them — invest in them even — and let those stories do the work. Well, when the City of Sacramento and Mayor Kevin Johnson began thinking about their approach to startups and entrepreneurship in the city, we decided that we would do what’s hard: we chose to focus on getting everyone in the game. We wanted to create more of a platform, the infrastructure really, for many different startups to be successful and thrive. 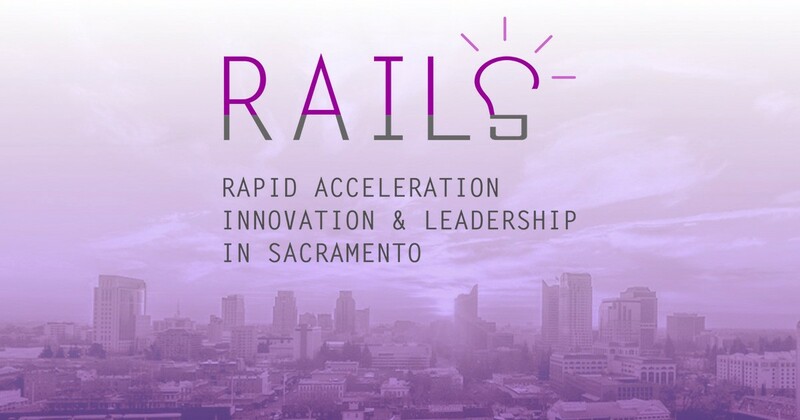 That’s why we’ve built this program called RAILS: Rapid Acceleration Innovation and Leadership in Sacramento, a first-of-its-kind city grant program of up to $1.5M designed to support the broad startup pipeline within the city. That is to say it’s designed to make Sacramento the ideal place to come if you want to get your startup off the ground running and thriving to be in. What does that mean and how does it work? Through RAILS we plan to make grants to “startup enablers” — the kinds of initiatives and programs that help entrepreneurs take their startup from idea to company. Specifically, we’re investing in leadership programs, innovation programs, and acceleration programs throughout the city doing different things in different ways to build the broad ecosystem that we think is necessary to support startups in a holistic way. This comes down to a pipeline model. The pipeline being, “How do you help, say, a potential entrepreneur named Sally, go from just having an idea for a great company to actually knowing how to start one to actually starting one to actually having it thrive?” Let’s talk about that. Having just graduated from undergrad — say Sac State or UC Davis — Sally has an interesting idea around food tech innovation. But Sally didn’t major in business or computer science: she majored in agriculture. Naturally. How do we help her out? The first is a series of leadership training programs. They can range from business training to technical education. Fantastic programs exist and have proven to be successful at this first stage of entrepreneurship: Girls Who Code, Railsbridge, etc. Our goal is to bring more of those programs here to Sacramento, and just as importantly help people like Sally know about them and excited about participating. Now that she’s got trained up, Sally has this really fun food tech company and wants to start getting it off the ground. What’s she going to need? She’s going to need a team; that’s the second prong of the RAILS program comes in: innovation. She’s going to need to find ways to connect with and work with other potential co-founders or staff members to help take the idea into a real product. That’s where we plan to invest in things like co-working spaces, hackathons, app contests, different ways in which people can come together and take to their ideas to the next level. Then finally once Sally’s gotten the idea off the ground, got a team, got things working on, what’s next? Getting users, financing, and help. 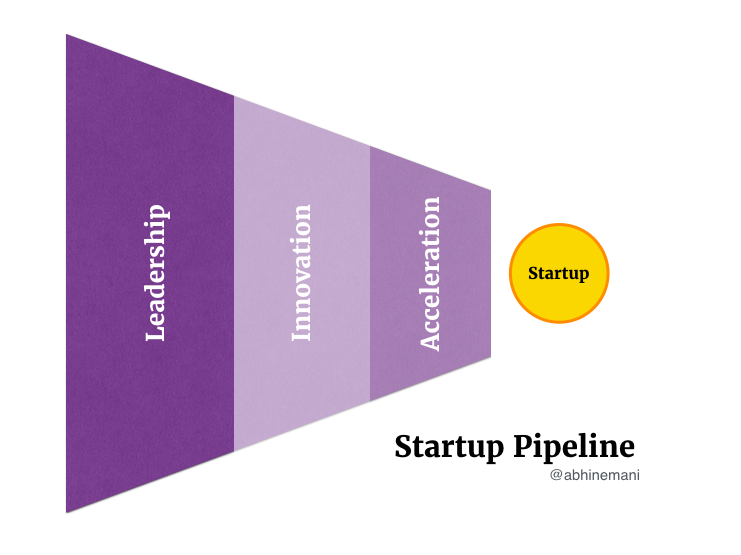 Fortunately, the tech ecosystem has born out a compelling model for exactly this stage: startup accelerators. We want to support existing local accelerators and incubators or attract other national ones to Sacramento help startups thrive. Throughout my conversations with Sacramento entrepreneurs around barriers to scale locally, a common theme emerged: money, or more specifically early stage venture financing. And that’s a big part of what accelerators can help with through their networks of investors, demo days, and connections to other exit avenues. (By the way there’s more planned on the VC front — stay tuned.) Beyond financing support, these programs should help people like Sally gain a network of like-minded people with common goals, a support system to help when things get tough. (I remember when we first launched the Code for America Accelerator in 2012 one of the entrepreneurs, when asked why he was happy to be there, he said, “It feels good to know that I’m not alone.”) You need to be able to find your tribe. So What’s the “R” for? RAPID. We’re trying to do this fast, really fast. We launched this program about three weeks ago, and the deadline for it is in two weeks: July 22. We’re moving running fast — probably faster than you’ve ever seen a government run — because we want to get stuff done. Not just because we want to see outcomes, but because we see momentum in Sacramento that’s unprecedented: the development of downtown and the Golden One Center, the growth of companies like I/O Labs and Velocity Ventures, the events hosted by the local universities and Code for Sacramento, and by all the investments the Kings and Moneta Ventures are making. That’s only to name a few. Sparks are flying in the Sacramento innovation ecosystem, and we to add in some gasoline. That momentum was the core motivation for the RAILS program, and the broader redeployment of the $10M Innovation and Growth Fund towards startups. There’s more we’re going to do. We’re planning to invest in venture capital funds. We’re going to host events, demo days, and meet-ups. We even plan to build an entire office for entrepreneurship and innovation within city hall. We aim to make Sacramento the leading capital for innovation in the state and hopefully in the country. In closing, I will return to the first point. It would be easy, I think, for the city to get some press and some attention by hand picking a couple of startups and maybe supporting one program or two programs in the city. Instead, we’re taking a platform role, which is we’re trying to build an entire new ecosystem of startups in Sacramento and position the city in a a way where it can unlock and catalyze profound, systemic change. This isn’t going to be easy, this is going to be hard. But we have the resources, the backing and most importantly the momentum in the community to get this done. As a city that has so many passionate, dedicated people, if we can find way to leverage that, to focus that, to direct that, to put Sacramento on the startup map, we can be proud of doing work that matters with people that matter. I can’t imagine anything that would be more important.